Subscribe to coach Hayden's baseball updates by texting fmtbb to the number 84483. 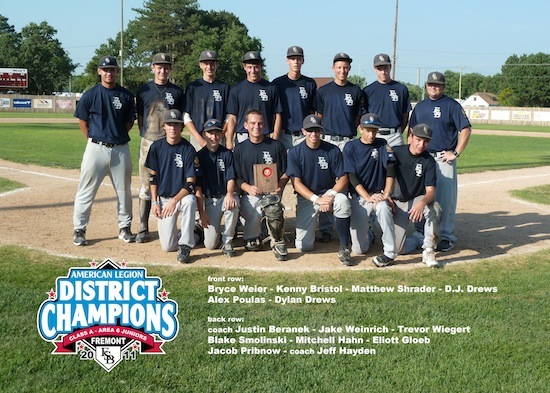 Subscribe to Juniors updates and notifications by texting jrsbaseball to the number 84483. Subscribe to Reserve updates and notifications by texting resbaseball to the number 84483. 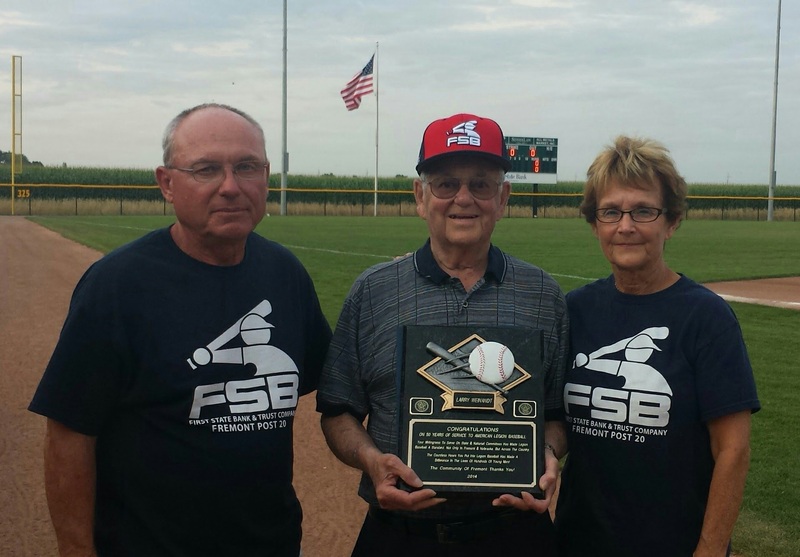 1946 was Fremont's first Legion State championship. The team was coached by Yirgil Yelkin and My Draemel. 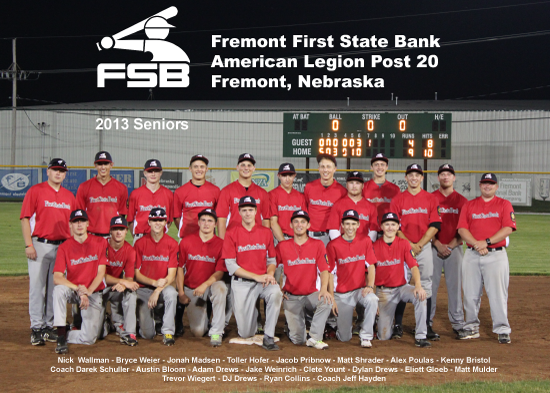 Yelkin resigned his position as Fremont High School's head football coach and accepted the position of head baseball coach at the University of Nebraska Omaha while competing in regionals at Hasting. 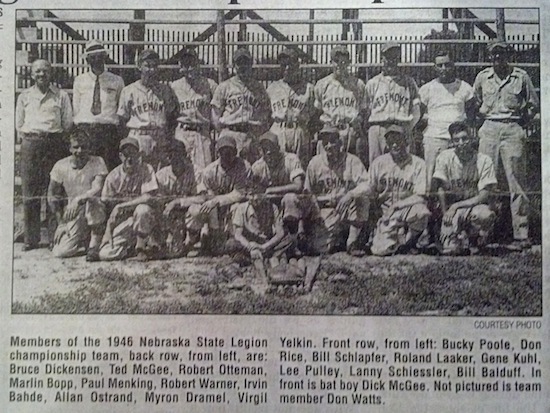 Yelkin went on to coach the UNO baseball team from1947-1976 and later became UNO's athletic director. Draemel was also the basketball coach at Midland Lutheran College at the time. He later took Fremont High School's head basketball coach position. 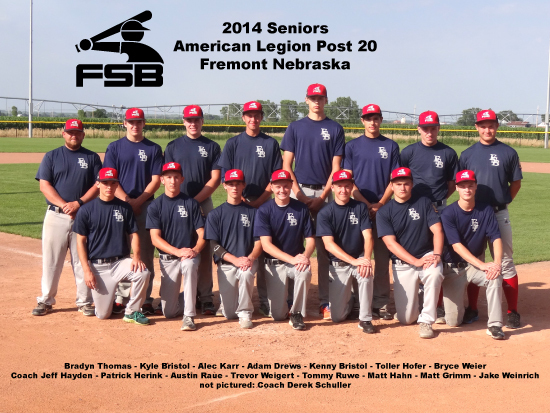 In July of 1925, the South Dakota Department of The American Legion ,agreed and passed a resolution urging the Legion to create an organized summer baseball league that started each June. The National Commander backed the resolution, which passed that fall at the Legion's national convention in Omaha. 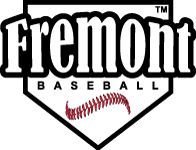 Fremont's first Legion baseball teams were in the late 1920's. In the 1931 Myron Bodell made a motion at an American Legion meeting to put up $100 for equipment for a team. This is today's Post 20 team.